Imagine a place full of exotic flavours, taste and smells. Join us for a London schools’ celebration of food from around the world. Learn how to Grow Your Own food - from Africa to the Caribbean, and India to East Asia. Then cook and share your delicious home-grown cuisine with your friends, school and community. Why Grow Around the World? From history and geography, to science and maths, let food open up a world of learning. Grow Around the World is a celebration of London’s food culture. Students can discover, grow and taste exotic and unusual food, uncover the real origin of many traditionally ‘British’ crops, sow new varieties of seed, learn from their diverse local community, and eat, cook and share food grown together. Celebrate the rich diversity, skills, knowledge and experience of people and cultures in your London borough, and build a supportive growing community around you. 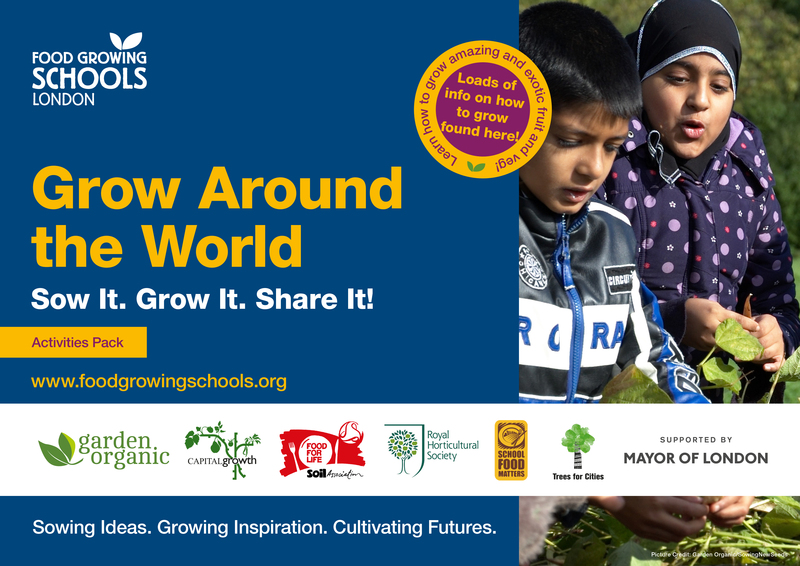 Welcome your community - to help your school grow, cook and celebrate eating food from around the world. Work with local businesses - invite a local restaurant, chef or local shop to work with your school. Attract corporate volunteers - to help you get those big garden jobs done on volunteering days. Mulberry School for Girls needed to build raised beds, compost bins and benches for their garden, securing help from various corporate teams was essential for the success of their project. Or see more tips by checking Garden Organic's Month by Month gardening guide.